Finalist, 1988 Pulitzer Prize for Poetry. 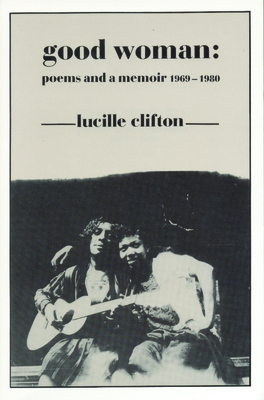 "Lucille Clifton is one of the four or five most authentic and profound living American poets." --Denise Levertov. Lucille Clifton (1936-2010) was the 2007 recipient of the Ruth Lilly Poetry Prize, as well as the 2010 Frost Medal from the Poetry Society of America. Her final poetry collection, Voices, was published by BOA in September 2008. She was an award-winning poet, fiction writer, and author of children's books. Her poetry book, Blessing the Boats: New and Selected Poems 1988-2000, won the 2000 National Book Award for Poetry. Two of Clifton's BOA poetry collections, Good Woman: Poems and a Memoir 1969-1980, and, Next: New Poems, were chosen as finalists for the Pulitzer Prize in 1988, the only author ever to have done so, while Clifton's, The Terrible Stories, was a finalist for the 1996 National Book Award. Clifton received fellowships from the National Endowment for the Arts; an Emmy Award from the American Academy of Television Arts and Sciences; the Shelley Memorial Prize; and the Charity Randall Citation. She served as a Distinguished Professor of Humanities at St. Mary's College in Maryland. She was appointed a Fellow of The American Academy of Arts and Sciences, and elected as Chancellor of The Academy of American Poets in 1999.